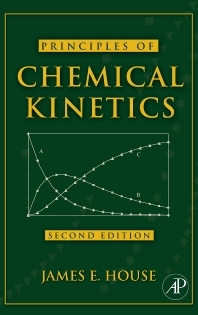 James House's revised Principles of Chemical Kinetics provides a clear and logical description of chemical kinetics in a manner unlike any other book of its kind. Clearly written with detailed derivations, the text allows students to move rapidly from theoretical concepts of rates of reaction to concrete applications. Unlike other texts, House presents a balanced treatment of kinetic reactions in gas, solution, and solid states. The entire text has been revised and includes many new sections and an additional chapter on applications of kinetics. The topics covered include quantitative relationships between molecular structure and chemical activity, organic/inorganic chemistry, biochemical kinetics, surface kinetics and reaction mechanisms. Chapters also include new problems, with answers to selected questions, to test the reader's understanding of each area. A solutions manual with answers to all questions is available for instructors. A useful text for both students and interested readers alike, Dr. House has once again written a comprehensive text simply explaining an otherwise complicated subject. Third year students in Chemistry and Chemical Engineering, does meet the needs of students at a variety of levels in various disciplines and is suitable for self-learners. Physicists, biochemists, pharmacists and researchers interested in reaction kinetics and catalysis will also find the principles and applications relevant to their studies. 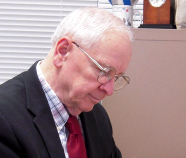 James E. House is Emeritus Professor of Chemistry at Illinois State University, and an Adjunct Professor of Chemistry at Illinois Wesleyan University. He received BS and MA degrees from Southern Illinois University and a PhD from the University of Illinois, Urbana. In his 32 years at Illinois State University, he taught a variety of courses in inorganic and physical chemistry. He has authored almost 150 publications in chemistry journals, many dealing with reactions in solid materials, as well as books on chemical kinetics, quantum mechanics, and inorganic chemistry. He was elected Professor of the Year in 2011 by the student body at Illinois Wesleyan University.